Having the best bow string replacement can really take your archery experience to the next level. A lot of people think that getting that perfect shot is all about form and technique, but the truth is, it has a lot to do with the bow strings too. Truly, they can make or break the performance of your bow. This is precisely why you should only have the best string. Unfortunately, this is easier said than done because bow strings come in a lot of types and sizes. In fact, they are one of the most produced sports accessories. Thus, picking the best one for you and your bow can prove to be somewhat a difficulty. It is such a fortunate thing that we are here to help you! We are going to take a look at three different bow strings and determine which one is the best. To do this, we are going to discuss the features and the corresponding pros and cons of each string. Ready to find out which one you should put on your bow? Then, keep on reading! Let us start with a bow string that can be used in both a recurve and traditional bow. The B-55 Dacron string is actually the newest release of the Dacron bow string series. It boasts the same stretch that you would get from the B-50. For that reason, you can expect just the right amount of power from this string. However, unlike the B-50, the B-55 has a stretch that is less permanent. This means that your string will last longer. 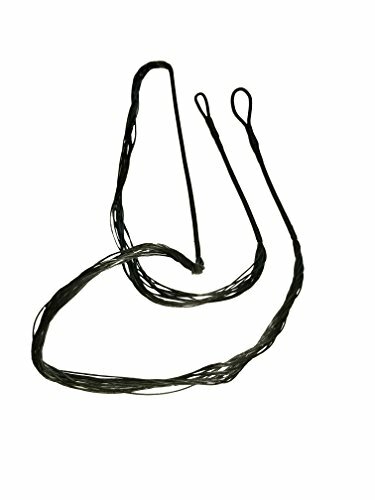 The ends of this bow string were already made into loops style. Therefore, all you have to do is to insert it onto your bow. This one comes in different variations based on the tension it can support.The recommended number of strands for 40 pounders are 12 strands, 14 strands for 50 pounders, and lastly, 16 strands for 60 pounders. We now move on to an even more basic dacron string from Southland Archery Supply. Here, what we have is also a B-50 Dacron that has an endless type of loop. In terms of its tension, the measure on the serving machine is that of 100 pounds. Other than that, the Archery Manufacturer’s Organization (A.M.O.) length is four inches longer than that of the actual length of the bow string. For this feature alone, you should be sure about the specific bow string length that you need as what we have here has a bit of an allowance. Lastly, it comes in color black. The recommended weight and strands are 12 strands for 40 pounds, 14 strands for 50 pounds, and for 16 strands for 65 pounds. 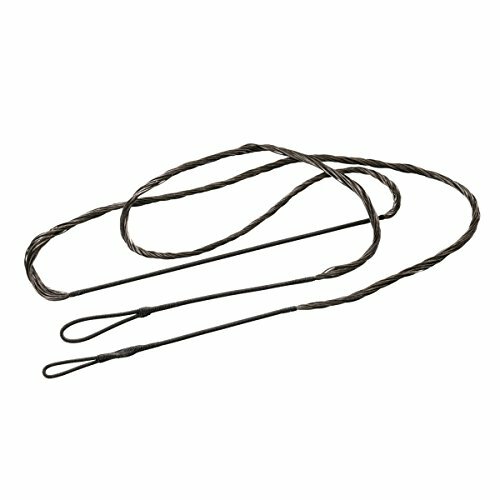 Finally, we have a bow string that comes in the most number of available sizes. This B-55 Dacron bow string from Southwest Archery is made of 100% polyester. 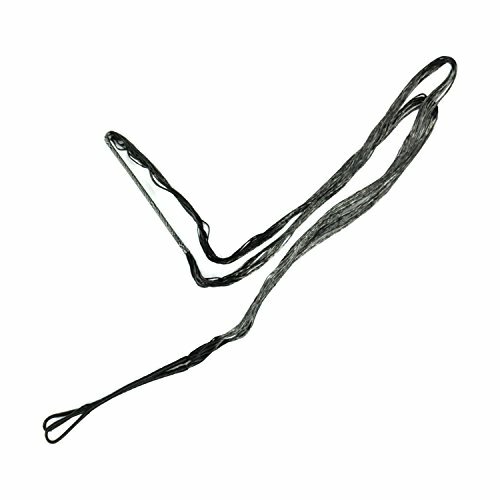 Just like any Dacron string, it has a less permanent stretch and durability so that your strings will last longer. Just as we mentioned before, out of all the three products in this list, this one has the most sizes, so you are assured that you will get the proper fit for your bow. With that said, you should base the number of strands to the actual weight of your bow. With your convenience in mind, these strings were made to be installed easily. This is made possible due to the center serving and loops being pre-served. All you have to do is to put them on your bow. However, a stringer tool is still recommended to be used for proper installation. The recommended weights and strands are 12 strands for 10 to 25 pounds, 14 strands for 25 to 40 pounds, and 16 strands for 40 to 65 pounds. Best Bow String Replacement: Which One to Get? Taking into consideration every feature, pro, and con, the best bow string, if you ask us, is the Keshes Dacron Bow String. We chose this string because of its strength, quality, and durability. Out of all the bow strings in this list, this is the string that you will use the most. Why is that the case? It is because it is not only the easiest one to install, but it is also the one that can help the performance of your bow. Just like what we mentioned at the start of this read, your bow string should be able to elevate your stance, or at the very least, your shooting performance. Surely, with the bow string from Keshes, you will be able to notice a difference whenever you use your bow. At the same time, it can be used by both professionals and beginners, which speaks volumes about the versatility of this bow string. Then again, it is also not perfect as there is a bit of fraying and, at times, they may loosen. However, these problems can easily be prevented by careful use and the proper stringing of the bow strings to the bow. All you have to do is to pay attention to the servings, which is actually a thing that you should do when doing archery. Lastly, it might not have the biggest selection in terms of sizes, but the gaps that they gave for each weight and corresponding strands are enough to cover almost all sizes and weights of bows. They might not be the exact match, but they will still fit perfectly, nonetheless.